Anvil's OSS is the answer when self powered, quick deployment, remote surveillance from a utility pole or similar mounting meets the operational requirements. Anvil's OSS matches a high performance pan/tilt/zoom camera with a custom designed, ruggedized, weather proof frame and enclosure, DVR, and unique, tamper-proof, pole mount that can sustain a 700lb load! The quick-deployment, self aligning camera mount is attached at the desired height to any utility pole using the integrated quick-clamp. The camera is then placed on the clamp and turned on. It will then begin live transmission for viewing by multiple authorized users across the RECoN™ mesh network. Images are securely transmitted via 802.11 technology to a nearby surveillance post, or relayed via long range RECoN™ Access Points or satellite hookup to a command center where it can be fully controlled remotely. It can also be set to patrol and/or report detected movement. To fulfill evidentiary requirements, the integrated DVR continuously records the video images. No external power supply is required. 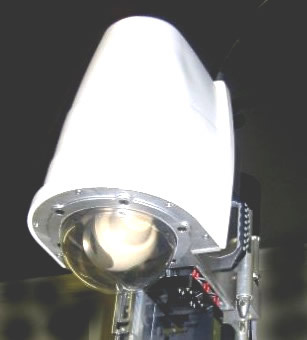 The OSS operates on military specification batteries wired in parallel so that they are hot swappable for continuous operation. All OSS functions can be remotely monitored including battery condition, internal humidity and temperature. Where extended operation is required, an external power supply can be provided either from auxiliary battery packs or a local power supply. 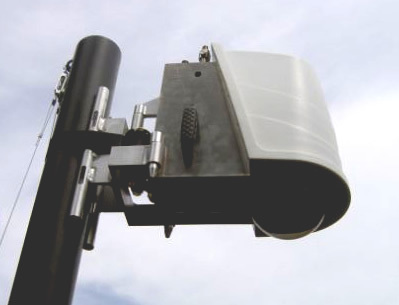 Applications include urban and rural surveillance, crowd, concert and parade monitoring, border monitoring, unmanned security access point monitoring, surveillance at public events and sporting and recreational facilities and schools. The potential for or results of terrorist attacks, hostage incidents and natural disasters can also be monitored. Please contact Anvil Technologies for further details. Copyright© 2008 - 2010 Anvil Technologies All rights reserved.